Do you have a guest room, but no guests? Or maybe you have a great bonus room … but have no idea what to do with the space. Rather than leave the space empty or fill it with junk, create a functional space that will add to your quality of life and your home value! 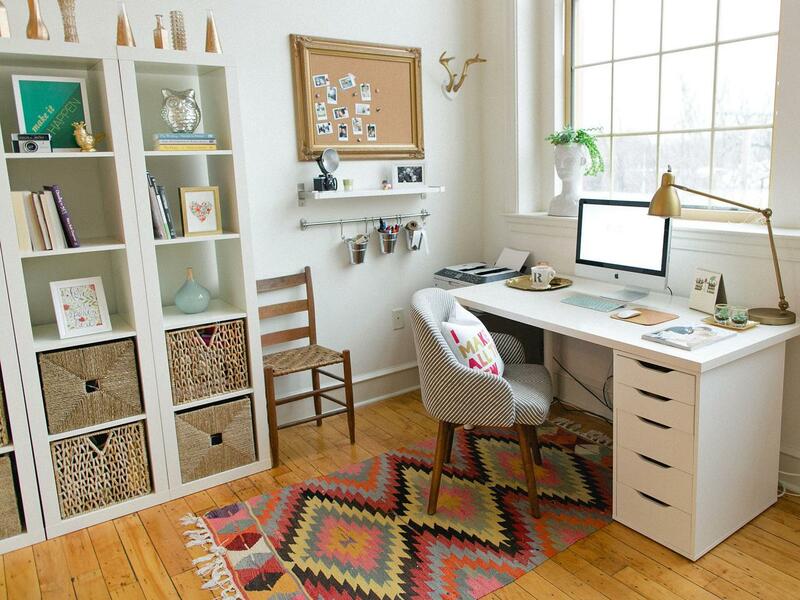 Home Office – A home office is probably one of the best and most popular uses for a spare room. Bring in a desk and comfy chair to create a workspace and home for your computer. Keep all of your mail and important papers organized neatly in a filing cabinet. Bookshelves are great for organizing, well, books, but also office supplies, knick-knacks, photos, etc. 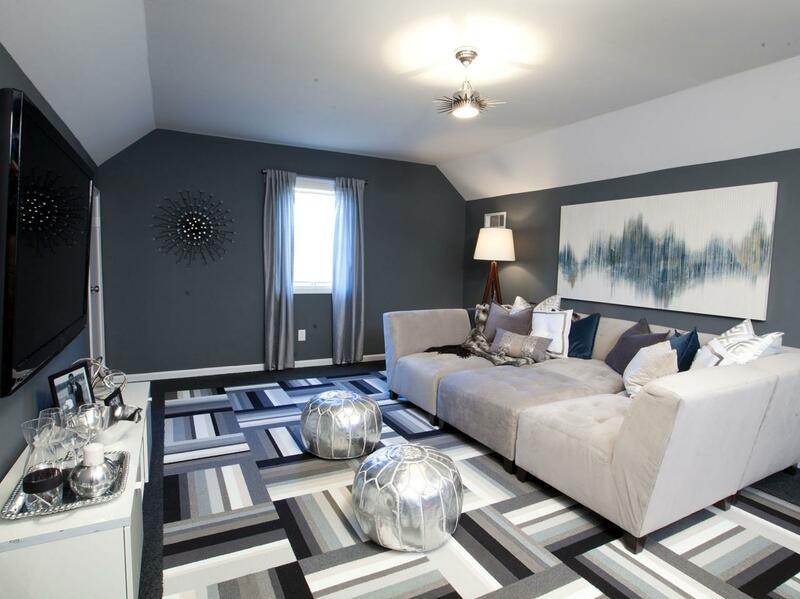 Paint the room a soothing shade of blue or gray to make a relaxing, tranquil space that you will want to work in. Craft or Art Studio – A wood or laminate floor works best in this type of space as you are likely to drop craft materials or spill paint. Install cabinets to store supplies, or opt for a bookcase or open shelving with baskets to organize and hold supplies. Bring in a large table or floating island to place in the center of the room to provide a flat workspace. Game Room – Create a dedicated space to hang out with friends … or where your kids can hang out with their friends and not tear up the entire house! If you’ve got the space, a pool table is always a win for a game room focal point. But there are plenty of other options – poker table, bubble hockey, arcade games, or a folding table tennis table. Assemble a lounge area with seating and a coffee table or large ottoman to play board games or cards. Home Theater – Who wants to spend $9 on a movie ticket when you can kick back and relax in the comfort of your home? Bring in a large sectional and some recliners or chaise lounges for plenty of comfy seating. Mount a large flat screen on the wall, or get tech and install a projector and screen for the ultimate movie experience. Add a surround sound system, blackout drapes, and an old-school popcorn machine and get ready for some binge-watching. Boutique Closet – Ladies, this one is for you! Take that tiny extra bedroom and turn it into your dream closet with dressing room. Install tons of storage – hanging, shelving, and drawers. Up the ante by adding a center island with storage and a stone top to display your jewels. Bring in a full length floor mirror (or 2!) to lean against a wall. Add some dazzle with a sparkly chandelier. Wine Bar – If your idea of entertaining includes uncorking a fabulous bottle of wine, why not create a room dedicated to good taste? All wine, red or white, should be stored between 53 – 57 degrees Fahrenheit, so you will want to invest in a wine refrigerator or build your own wine cellar with wine racks and a cooling system. Bring in a simple bar, a few bar stools, and a wall-mounted wine shelf with glass rack to complete the bar. Add some cozy lounge chairs for guests to sip and relax. Home Gym – There’s no excuse not to work out when you have a gym at home. Start with wood floors or interlocking rubber tiles to support any heavy equipment. 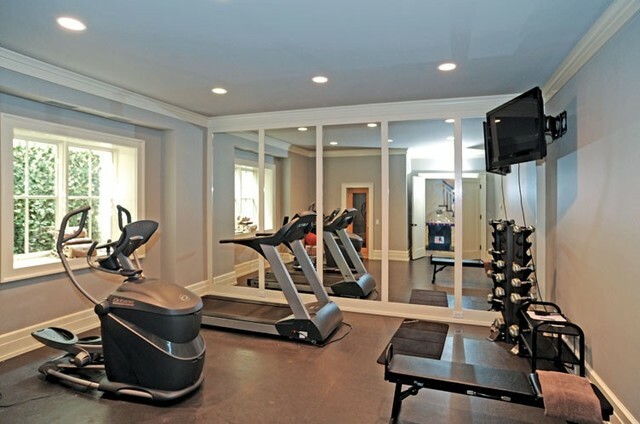 Add mirrors to one wall to check your form and bring in a TV to do your workout videos or watch The Real Housewives when you’re running on the treadmill. Library – If settling in to a comfy chair with a good book is your ideal Saturday afternoon, then consider turning that extra room into a library. It really won’t take much – bring in a few bookcases, you can buy cheap bookcases at Ikea and add your own molding to make them look like an expensive built-in. Add a couple plush chairs, pillows, and soft lighting to create a relaxing reading space.